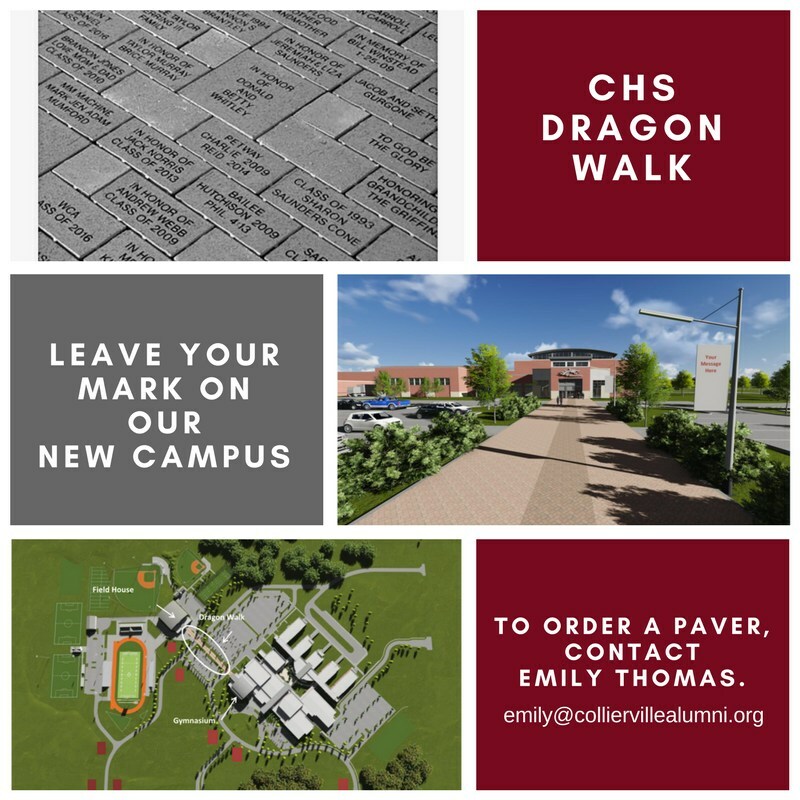 The Dragon Walk at CHS will be a prominent part of our new campus leading to the athletic facilities. By purchasing a commemorative paver, you will be supporting CHS and the CHS Alumni Association Scholarship Fund. See links to order forms below. Questions? Email Emily Thomas emily@colliervillealumni.org.